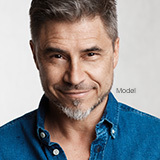 Although plastic surgery is traditionally marketed to women, men are turning to plastic surgery in increasing numbers to enhance, sculpt, and trim their own physiques. 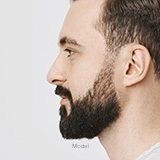 Since a man’s face and body are structured differently than a woman’s, different techniques and approaches are required to achieve the most desirable outcomes. Dr. Chin has years of experience in delivering top results to male patients, and he can significantly improve the appearance of a man’s chest, abdomen, torso, and face. A firm midsection is one of the most desirable features of any man; however, for some men, no amount of crunches or hours spent at the gym are enough to give them the abdominal definition they crave. Liposuction and tummy tuck surgery can provide what the gym cannot by giving you tone and definition in your abdominal area. Time and heredity can leave your face with loose, sagging skin and facial muscle laxity that makes you look years older than you feel. Facelift surgery and/or nose surgery can be performed to transform the appearance of the face and highlight chiseled facial features. Aging and weight fluctuations all negatively affect the quality of your skin. Across your body, skin begins to sag, droop, and mask the masculine features underneath. 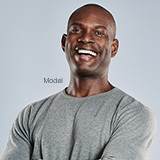 Plastic surgery for men creates smoother, tighter, and more aesthetically pleasing body contours. Whether it is the presence of enlarged male breasts or love handles, body concerns affect men in the same way they affect women. Plastic surgery can take away your body insecurities and leave you feeling more confident and comfortable in your skin. Gynecomastia surgery removes excess skin, glandular tissue, and fat that leads to enlarged male breasts. Dr. Chin performs this procedure through the surgical excision of excess breast skin and tissue with an incision made around the areola. In cases where the cause of enlargement is due to excess fat, liposuction can be performed alone or in combination with the excision method. Liposuction removes stubborn pockets of fat from trouble areas of the body such as the buttocks, abdomen, flanks, thighs, and arms. Dr. Chin makes small incisions in the treatment area before a thin, hollow tube (known as a cannula) is inserted, and the excess fat is suctioned out through a surgical vacuum outlining the muscles to improve definition and debulk excess fat. Tummy tuck surgery transforms the appearance of the abdomen by removing excess skin and fat while tightening the underlying muscles for a flatter appearance. This procedure can target the full abdomen or the lower abdomen only. Full Tummy Tuck: Dr. Chin makes an incision made from hip bone to hip bone and an additional incision around the navel to address both the lower and upper abdomen. The abdominal muscles are tightened, and the maximal amount of skin is removed. Mini Tummy Tuck: Dr. Chin uses a horizontal incision made between the hips to address the lower abdomen only. Liposuction may also be used to define the abdominal muscles. 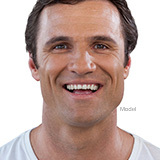 Facelift surgery creates a more youthful appearance by tightening facial skin and muscle laxity. Dr. Chin makes an incision in the hairline at the temple that extends around the ear and into the lower scalp. An additional incision is made under the chin to address neck laxity. Here, Dr. Chin tightens facial muscles and tissues and trims away any excess skin before he closes the incisions. This results in a more defined jawline and tighter neck as well as possibly fuller cheekbones. Eyelid bags, excess skin, and forehead wrinkles can also be addressed to give a more rested and softer appearance. Rhinoplasty addresses the aesthetic and functional concerns of the nose, such as a nasal hump, wide nostrils, a narrow or wide bridge, an upturned nasal tip, breathing problems, and a crooked or damaged nose from injury. Dr. Chin performs rhinoplasty through an open approach for maximal visualization of the nasal anatomy. The open approach makes the incision across the columella (the skin and cartilage separating the nostrils). If there is a breathing problem associated or if the nose is crooked due to a septal deviation, septoplasty is often performed at the time of the rhinoplasty. Q: Am I a candidate for male plastic surgery? A: Candidates should have realistic expectations of their results. While many of these procedures will sculpt and trim the body, these procedures are not intended as an alternative to weight loss. Candidates should be at or near their ideal body weight before considering plastic surgery to achieve the best results. Candidates should be in good health and be non-smokers or able to quit for several weeks, as smoking can increase the chance of complications both during and after the operation. Q: What will recovery of these procedures entail? A: For all of these procedures, you should arrange for someone to drive you home and stay with you for the first night. You can expect bruising, swelling, and discomfort in the initial days. Any pain can be remedied with oral pain medication. For tummy tuck surgery, liposuction, and gynecomastia surgery, you will be wrapped in compression garments that will reduce swelling and promote circulation. Patients can return to work within one to two weeks but should refrain from any strenuous exercise for six weeks. Dr. Chin will provide you with postoperative instructions and a more precise expectation of your recovery during your consultation. Q: What procedures can I combine? A: Many patients find that combining procedures into one surgery is beneficial because there will be only one healing period, less chance for anesthesia complications, and financial benefits. Combined procedures should be in similar body regions. For instance, you can combine your rhinoplasty with a facelift, or you can combine liposuction with your tummy tuck; however, you would not want to combine a tummy tuck and rhinoplasty. Q: What are the possible complications? Patients should follow all of Dr. Chin’s postoperative instructions to minimize these risks and complications. Q: What kind of scars can I expect? A: While Dr. Chin does everything in his power to make your scars as inconspicuous as possible, scars will be present at the incision sites. These scars will likely fade with time, and the benefits of your results certainly outweigh the cost of minor scarring.